Ajabu Adventures wishes to introduce the rich history of Tanzania. 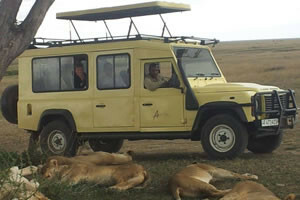 This beautiful country is nowadays known for its safari tours and the spectacular tours and has an interesting history. 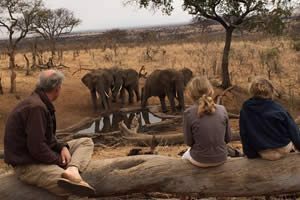 Even though most tourists come to Tanzania for its extraordinary wild life and the beautiful beaches, every visitor will surely feel the rich history and culture that the county has. 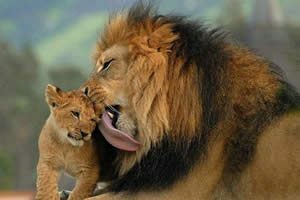 Tanzania is striving towards a tourist industry in a way that the nature is harmed as little as possible.The history dates back more than 4 million years, to arise of humanity. We will mainly focus on the most important happenings that have led to the rise of the republic of Tanzania, as we know it nowadays. The United Republic of Tanzania was founded very late compared to other African countries, namely in 1964. It was created by Tanganyika and the Islands Zanzibar and Pemba merging together. A little over a century before, this region – together with a part of southern-Kenya, North Mozambique and Malawi – was part of the large realm of the Omani’s. At that time the country was not being further developed, with the exception of Zanzibar and the coast of the mainland. Traders never tried to conquer or mine the mainland because they simply saw it as large natural storage for their most important goods and income; ivory and slaves. The dusty city Dodoma, only capital because it is located in the center of Tanzania, is ignored, even by politicians, who rather take part in the wealthy economy of Dar es Salaam. The east coast of Tanzania still is the economical power center. Due to the independence there also was redistribution in power, purely based on numbers: on the mainland there were 39 million inhabitants and on the Islands there only were a little over 1 million inhabitants. The division of cultures is still noticeable. After the independence ujamaa villages were founded for collective agricultural activities, according to the Chinese communistic model. Health centers and schools were also often established in these villages. Even though these villages improved the living conditions the Tanzanian people did not support these projects because they felt they were forced to move. Despite all this the country gained a strong national awareness during the presidency of Julius Nyerere (1962-1985). There are over 125 different tribes living in the Tanzania of nowadays, who mostly come from different African countries than Tanzania. All these different tribes have their own language and traditions, but none of them are strong enough to concur others. The people of Tanzania have a positive view; the feeling of hope, exceptional in the troubled Africa, which is alluring.